Interpreting how a model works is one of the most basic yet critical aspects of data science. You build a model which is giving you pretty impressive results, but what was the process behind it? As a data scientist, you need to have an answer to this oft-asked question. For example, let’s say you built a model to predict the stock price of a company. You observed that the stock price increased rapidly over night. There could be multiple reasons behind it. Finding the likelihood of the most probable reason is what Maximum Likelihood Estimation is all about. This concept is used in economics, MRIs, satellite imaging, among other things. In this post we will look into how Maximum Likelihood Estimation (referred as MLE hereafter) works and how it can be used to determine coefficients of a model with any kind of distribution. Understanding MLE would involve probability and mathematics, but I will try to make it easier with examples. Note: As mentioned, this article assumes that you know the basics of maths and probability. 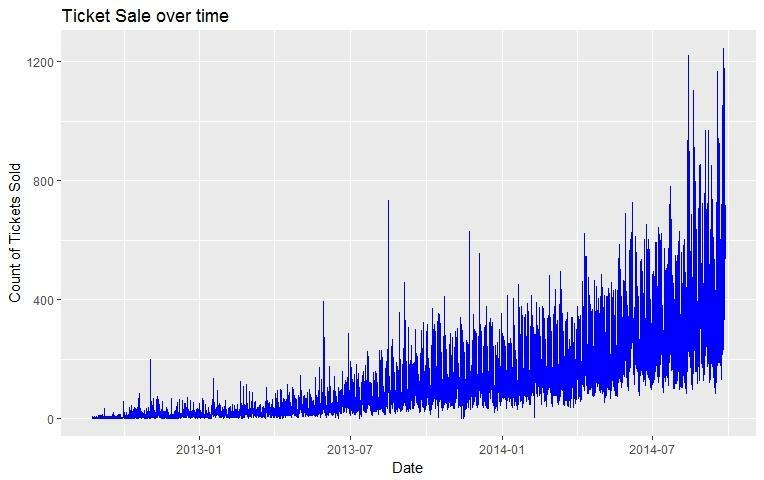 You can refresh your concepts by going through this article first – 6 Common Probability Distributions every data science professional should know. Why should I use Maximum Likelihood Estimation (MLE)? Let us say we want to predict the sale of tickets for an event. 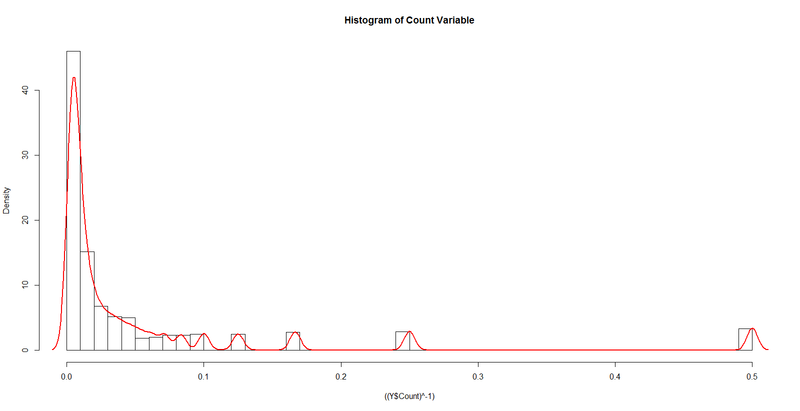 The data has the following histogram and density. How would you model such a variable? 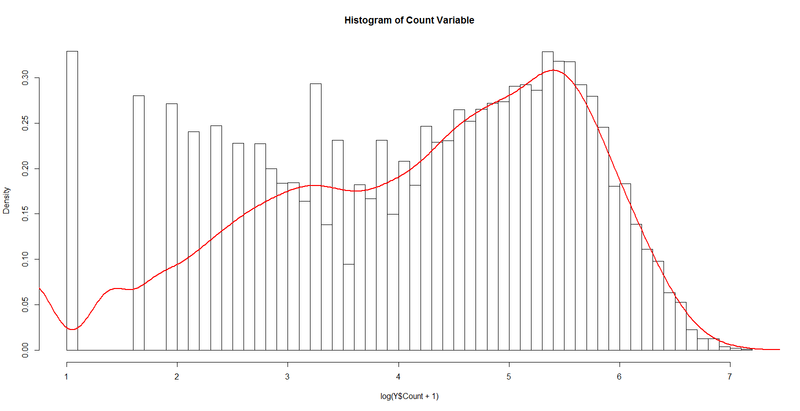 The variable is not normally distributed and is asymmetric and hence it violates the assumptions of linear regression. A popular way is to transform the variable with log, sqrt, reciprocal, etc. so that the transformed variable is normally distributed and can be modelled with linear regression. None of these are close to a normal distribution. How should we model such data so that the basic assumptions of the model are not violated? How about modelling this data with a different distribution rather than a normal one? If we do use a different distribution, how will we estimate the coefficients? This is where Maximum Likelihood Estimation (MLE) has such a major advantage. While studying stats and probability, you must have come across problems like – What is the probability of x > 100, given that x follows a normal distribution with mean 50 and standard deviation (sd) 10. In such problems, we already know the distribution (normal in this case) and its parameters (mean and sd) but in real life problems these quantities are unknown and must be estimated from the data. MLE is the technique which helps us in determining the parameters of the distribution that best describe the given data. 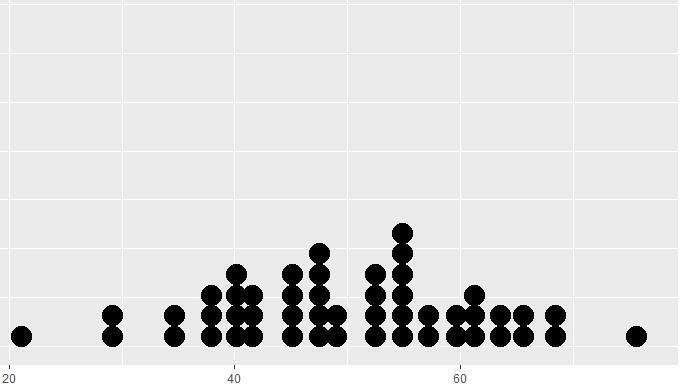 This appears to follow a normal distribution. But how do we get the mean and standard deviation (sd) for this distribution? One way is to directly compute the mean and sd of the given data, which comes out to be 49.8 Kg and 11.37 respectively. These values are a good representation of the given data but may not best describe the population. We can use MLE in order to get more robust parameter estimates. Thus, MLE can be defined as a method for estimating population parameters (such as the mean and variance for Normal, rate (lambda) for Poisson, etc.) from sample data such that the probability (likelihood) of obtaining the observed data is maximized. In order to get an intuition of MLE, try to guess which of the following would maximize the probability of observing the data in the above figure? Clearly, it is not very likely we’ll observe the above data shape if the population mean is 100. Now that you got an intuition of what MLE can do, we can get into the details of what actually likelihood is and how it can be maximized. But first, let’s start with a quick review of distribution parameters. 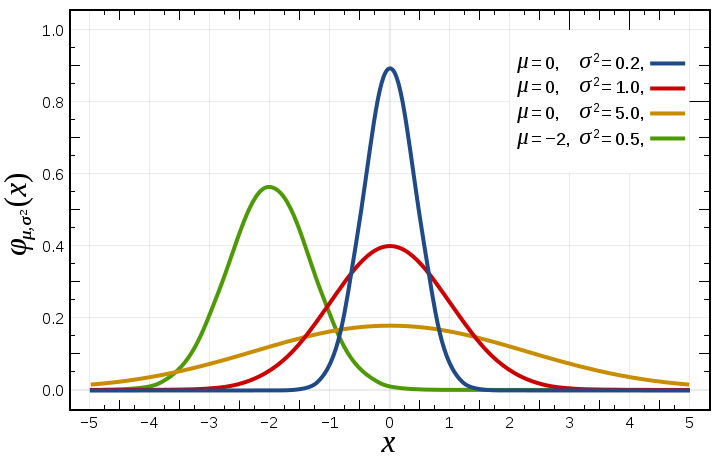 The width and height of the bell curve is governed by two parameters – mean and variance. These are known as distribution parameters for normal distribution. Similarly, Poisson distribution is governed by one parameter – lambda, which is the number of times an event occurs in an interval of time or space. Most of the distributions have one or two parameters, but some distributions can have up to 4 parameters, like a 4 parameter beta distribution. From Fig. 2 and 3 we can see that given a set of distribution parameters, some data values are more probable than other data. From Fig. 1, we have seen that the given data is more likely to occur when the mean is 50, rather than 100. In reality however, we have already observed the data. Accordingly, we are faced with an inverse problem: Given the observed data and a model of interest, we need to find the one Probability Density Function/Probability Mass Function (f(x|θ)), among all the probability densities that are most likely to have produced the data. In MLE, we can assume that we have a likelihood function L(θ;x), where θ is the distribution parameter vector and x is the set of observations. We are interested in finding the value of θ that maximizes the likelihood with given observations (values of x). There are many situations where calculus is of no direct help in maximizing a likelihood, but a maximum can still be readily identified. There’s nothing that gives setting the first derivative equal to zero any kind of ‘primacy’ or special place in finding the parameter value(s) that maximize log-likelihood. It’s simply a convenient tool when a few parameters need to be estimated. It’s very common to use optimization techniques to maximize likelihood; there are a large variety of methods (Newton’s method, Fisher scoring, various conjugate gradient-based approaches, steepest descent, Nelder-Mead type (simplex) approaches, BFGS and a wide variety of other techniques). 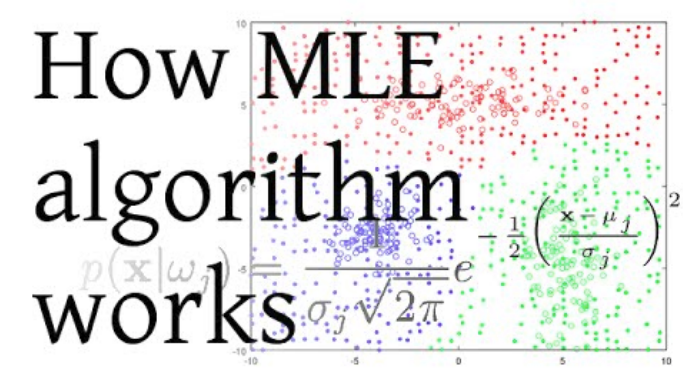 It turns out that when the model is assumed to be Gaussian as in the examples above, the MLE estimates are equivalent to the ordinary least squares method. You can refer to the proof here. 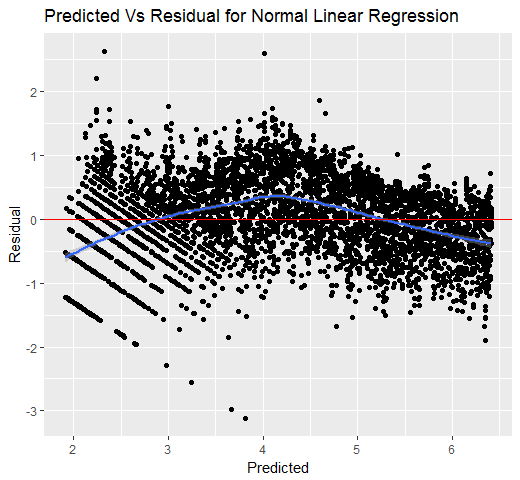 Let us now look at how MLE can be used to determine the coefficients of a predictive model. Our aim is to find θ by using MLE. where µi depends on the covariates xi and a vector of θ coefficients. We can substitute µi = exp(xi’θ) and solve the equation to get θ that maximizes the likelihood. Once we have the θ vector, we can then predict the expected value of the mean by multiplying the xi and θ vector. It has the count of tickets sold in each hour from 25th Aug 2012 to 25th Sep 2014 (about 18K records). Our aim is to predict the number of tickets sold in each hour. This is the same dataset which was discussed in the first section of this article. The problem can be solved using techniques like regression, time series, etc. Here we will use the statistical modeling technique that we have learnt above using R.
This could be treated as a Poisson distribution or we could even try fitting an exponential distribution. 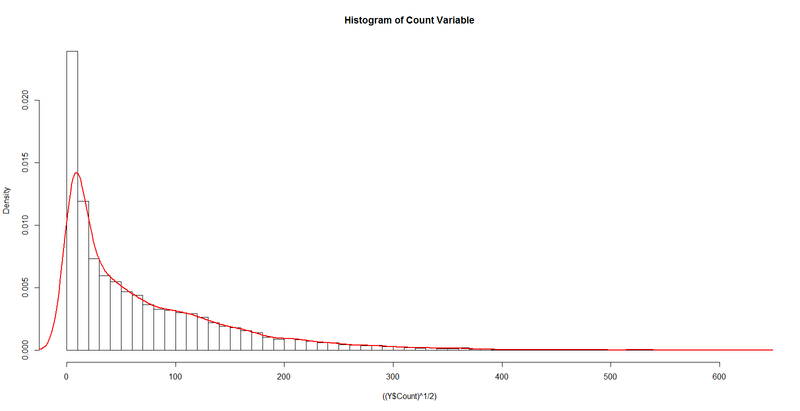 Since the variable at hand is count of tickets, Poisson is a more suitable model for this. Exponential distribution is generally used to model time interval between events. 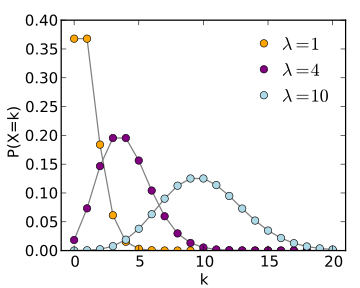 where, µ (Count of tickets sold) is assumed to follow the mean of Poisson distribution and θ0 and θ1 are the coefficients that we need to estimate. I have divided the data into train and test set so that we can objectively evaluate the performance of the model. idx is the indices of the rows which are in test set. Now let’s see how our model fairs against the standard linear model (with errors normally distributed), modelled with log of count. 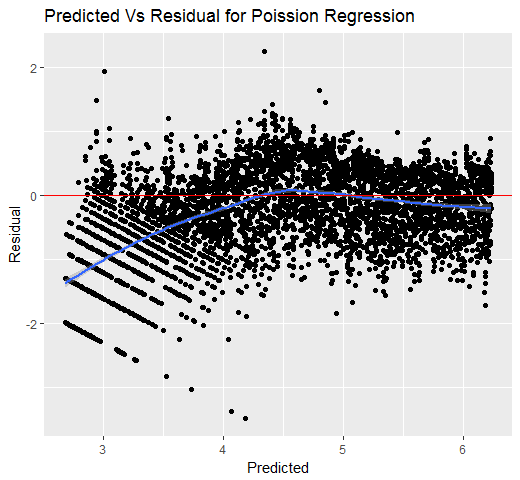 We see that the errors using Poisson regression are much closer to zero when compared to Normal linear regression. Similar thing can be achieved in Python by using the scipy.optimize.minimize() function which accepts objective function to minimize, initial guess for the parameters and methods like BFGS, L-BFGS, etc. Same can be done in Python using pymc.glm() and setting the family as pm.glm.families.Poisson(). One way to think of the above example is that there exist better coefficients in the parameter space than those estimated by a standard linear model. Normal distribution is the default and most widely used form of distribution, but we can obtain better results if the correct distribution is used instead. Maximum likelihood estimation is a technique which can be used to estimate the distribution parameters irrespective of the distribution used. 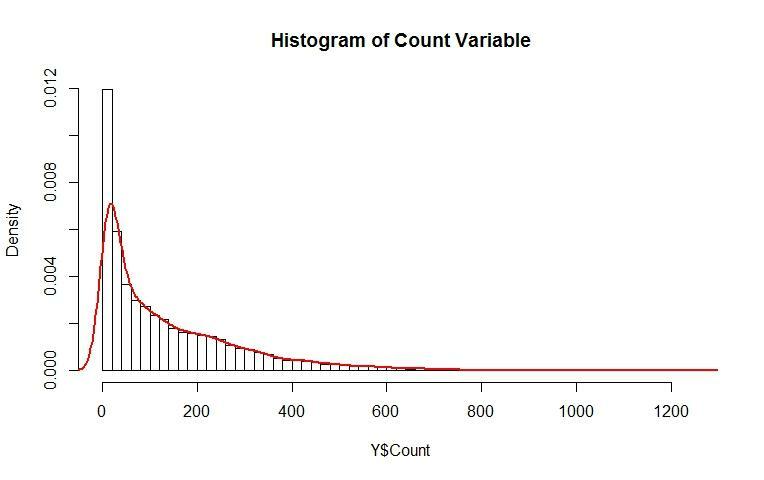 So next time you have a modelling problem at hand, first look at the distribution of data and see if something other than normal makes more sense! The detailed code and data is present on my Github repository. Refer to the “Modelling single variables.R” file for an example that covers data reading, formatting and modelling using only age variables. I have also modelled using multiple variables, which is present in the “Modelling multiple variables.R” file. Aanish is a Data Scientist at Nagarro and has 13+ years of experience in Machine Learning, Developing and Managing IT applications. He is also a volunteer for Delhi chapter of Analytics Vidhya.